Looking to improve your firm’s bookkeeping and back office management? At 4L, we understand that Managing Partners wear many hats, but being your own CFO doesn’t have to be one of them. After all, it keeps you away from what you do best—practicing law! So let us give you a hand. Learn more about how 4L can improve your back office management and boost your firm’s bottom line. 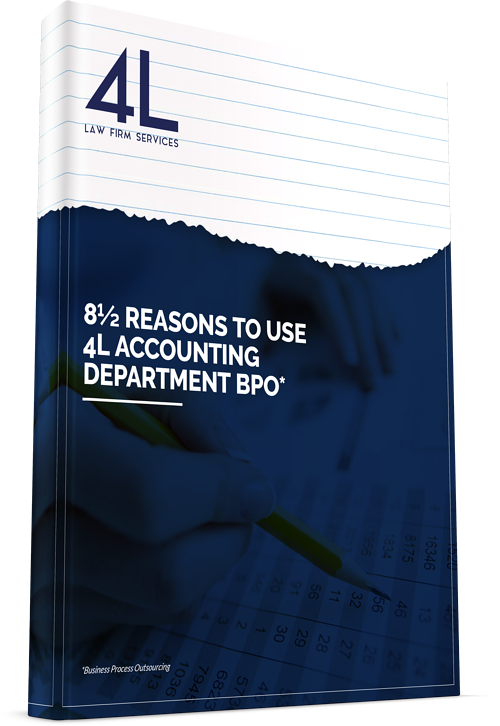 Fill out the form now to download our free whitepaper, 8½ Reasons For Using 4L Accounting Business Process Outsourcing (BPO*).